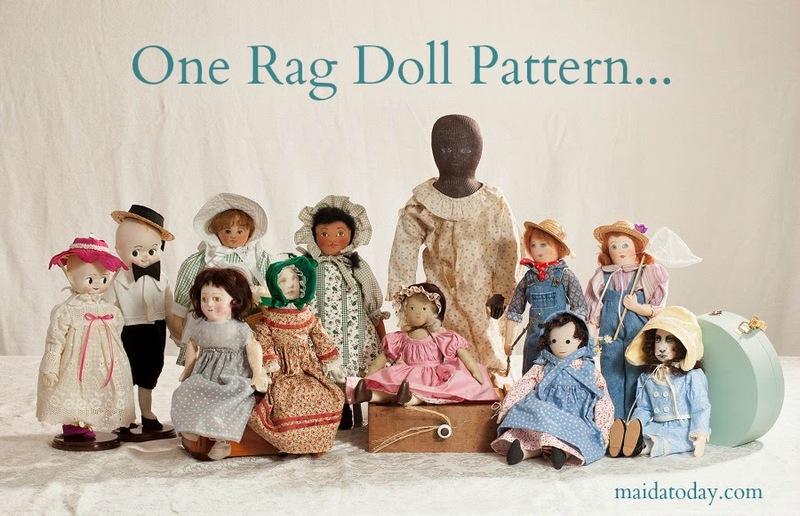 Edyth's pattern for four doll aprons drafted from civil war era and late 19th century examples are sure to delight both doll collectors and doll makers. 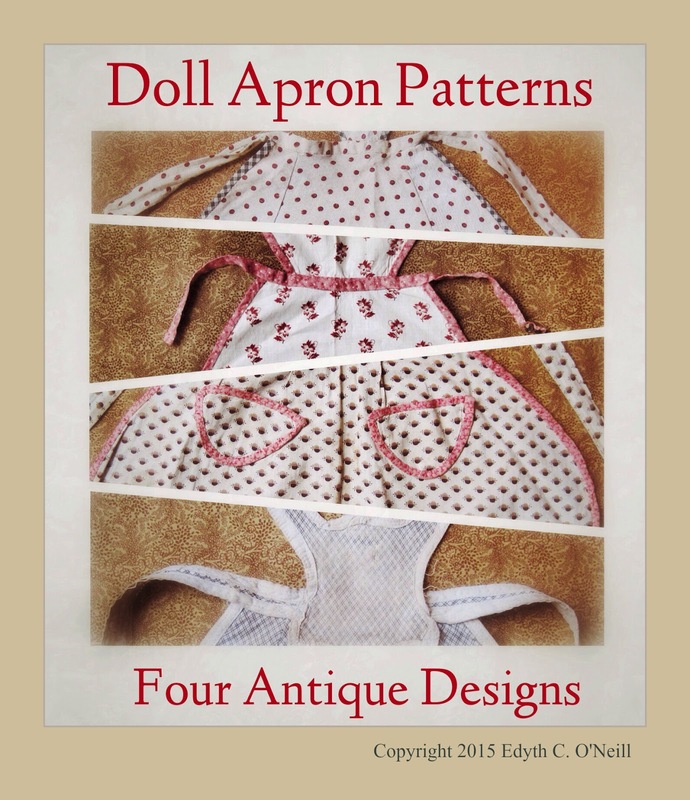 Visit Edyth's doll blog to read about these antique aprons and to purchase her pattern. These types of aprons are often found on antique Izannah Walker, papier mache and China dolls. I, Dixie, used to save hundreds (thousands?) of inspiration pictures on my computer. But since the advent of Pinterest, I have pinned what inspires me to a board called "Dolls". 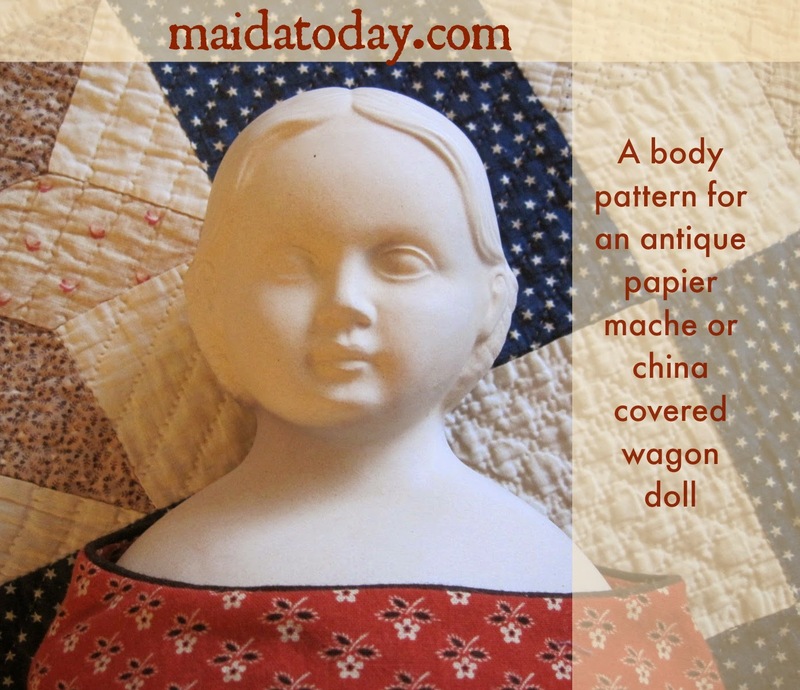 For the most part, these are antique dolls, but occasionally a tutorial or modern folk art doll finds a home there. 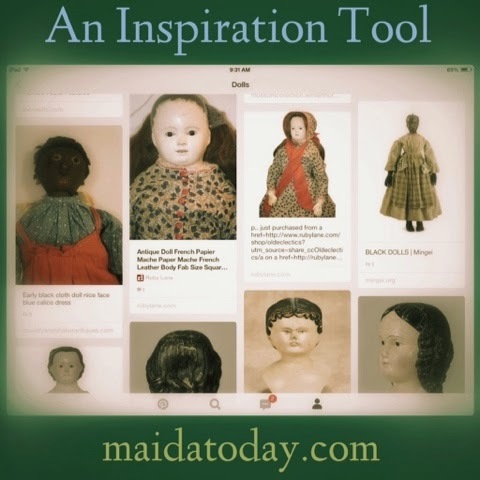 If you love antique dolls or make dolls inspired by antiques, you might find this an inspiration tool as I do. Here is a screenshot of this inspiration board. Click the image to view the board. Pinterest is also a great research tool. If you are learning about something, and you do not want the world to know, you can create a secret board, hidden from the public. The dark side of Pinterest is that if people are only interested in images, once the images are pinned on Pinterest, they fly around freely without people visiting the source page. 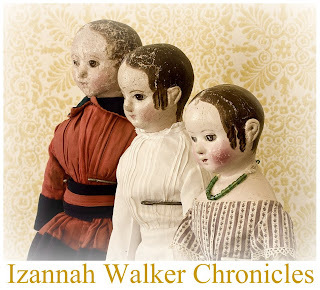 That has definitely affected readership of this blog as well as the Izannah Walker Chronicles. But, we adapt and overcome. We learn to make the new tools work for us. So...visit the inspiration board above. 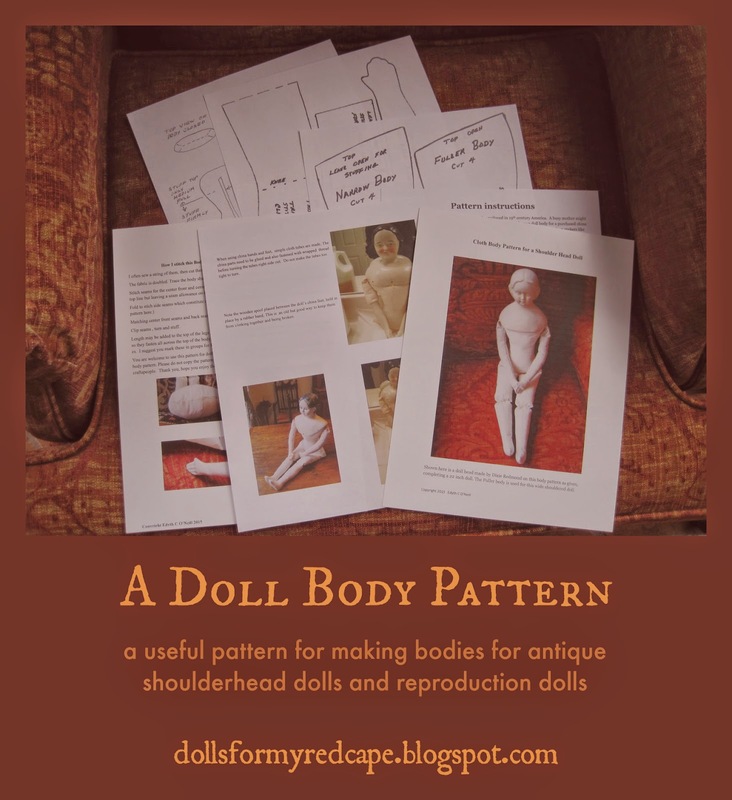 You'll find lots of inspiration for making antique inspired dolls. I designed and sized a body for this head made by Dixie. The pattern offered is suitable for many types of antique shoulder head dolls made of china and papier mache. It may be sized up or down on a copier to fit a particular head. As given, the body makes about a 22 inch doll. If you do not already have a favorite basic body pattern for shoulder heads I hope this will become it. 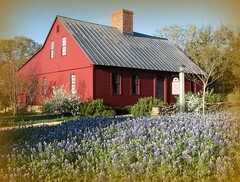 To read and see more about it go to this entry on the new blog about my doll family. If you see Dixie's skilled hand behind the look of this new blog you are right! Beautiful!